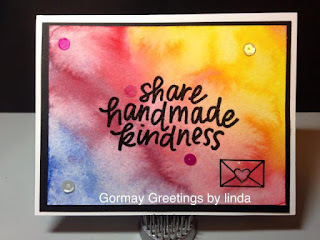 I hate to start this off on a sad note but one of our Inspirational Compadres lost her husband yesterday so I'm dedicating my blog post to Linda Gorman. Sending prayers your way. 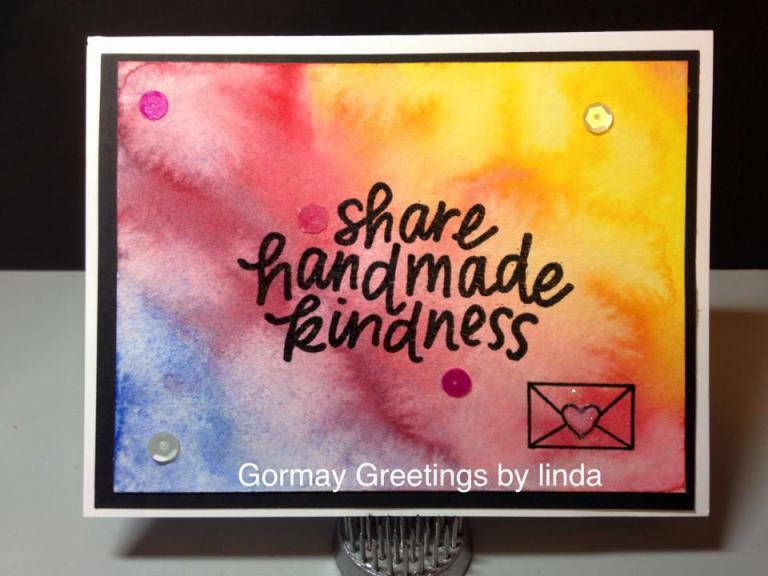 This is Linda's beautiful card! 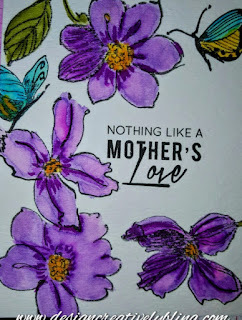 Even though she is going through a lot right now and couldn't be with us I couldn't let her card not shine. 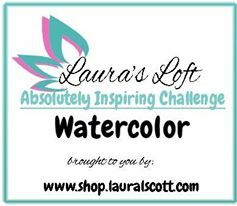 We hope you have as much fun as we have had creating with Watercolor. 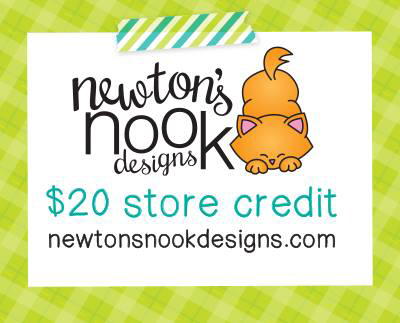 For this months challenge we are happy to have the support of Newton's Nook. 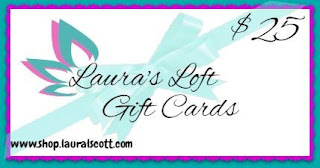 They were generous enough to give us a $20 store credit for one lucky person to win. All entries need to be linked through Inlinkz by 11:55 pm March 5, 2016 . 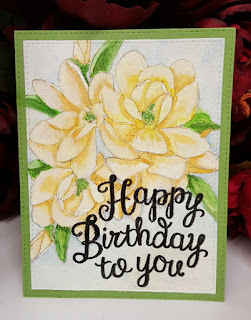 Here are some of my creations I made using Watercolor. I think I have a thing for Gansai Tambi and Altenew since this and the next card are done with Gansai Tambi. 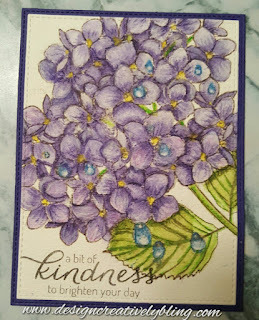 This stamp set is Beautiful Day. and this one is Golden Garden. 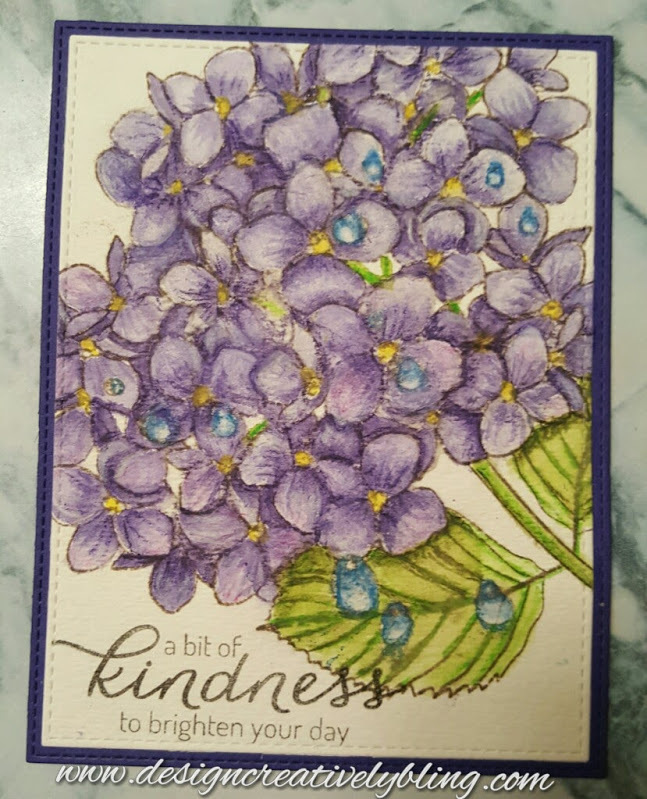 This card was done with Inktense pencils, the stamp is Ellen Hutson's Mondo Hydrangea and the sentiment is from Hero Arts Acts of Kindness. Hero Arts Colored Layering Bird And Branch watercolored with Tim Holtz Distress Ink. 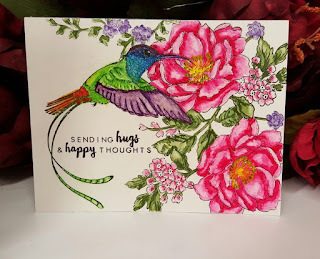 My last card is Altenews Wild Hibiscus watercolored with Zig Real Color markers. 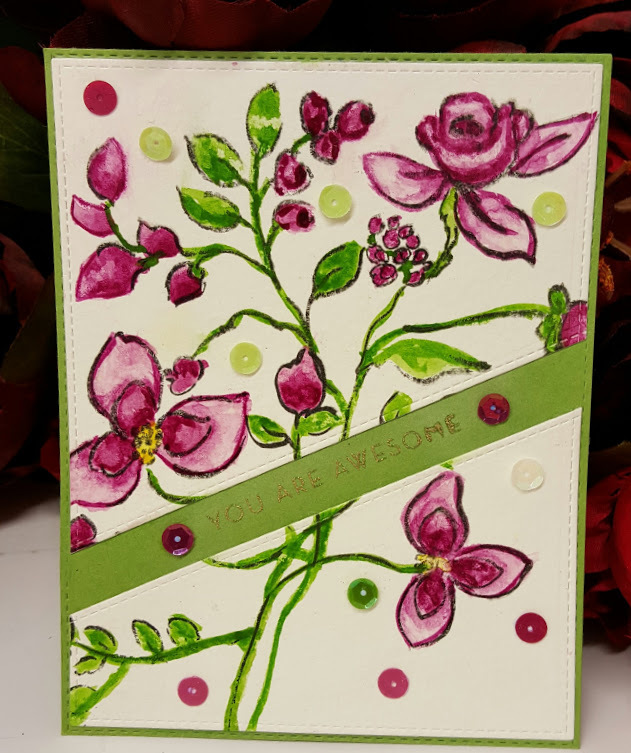 WOW look at all the cards you made! Gorgeous!! 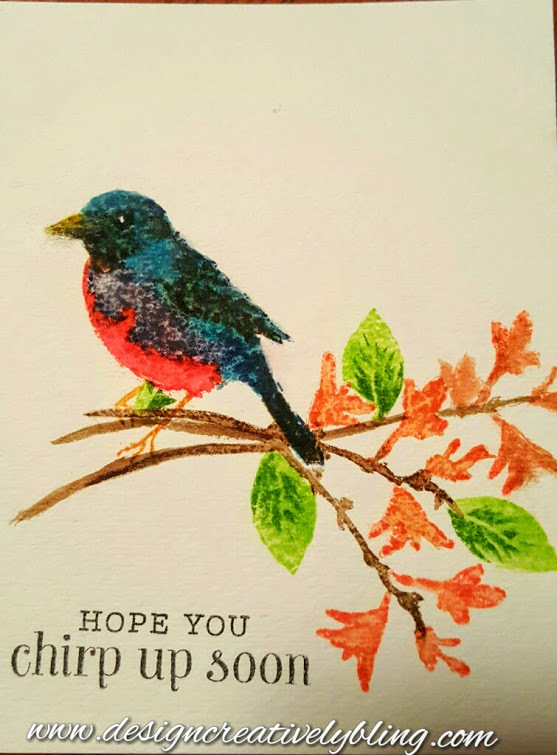 You did amazing colouring, your cards are adorable.